2017 Photographer of the Year. The 2017 Gwynfa Photographer of the Year is once again Gwynfryn Jones with a total of 207 points from his eleven scores. Rob Beynon was runner up with 205 points. Below are some of Gwynfryn’s images. The final merit table for 2017 can be seen BELOW…. The 2017 Picture of the Year was won by Peter Hughes with his photo entitled ‘Winter Light’. This photograph will appear on the front of our 2018 handbook. (Heidi accepted the award on Peter’s behalf as he was unable to attend). The runner up was ‘Steampunk’ by Lynda Beynon. The photo will appear on the greetings card we present to judges and lecturers. Below is a list of the top three photographs in each section. The following awards were also presented during our ‘Picture of the Year’ evening. 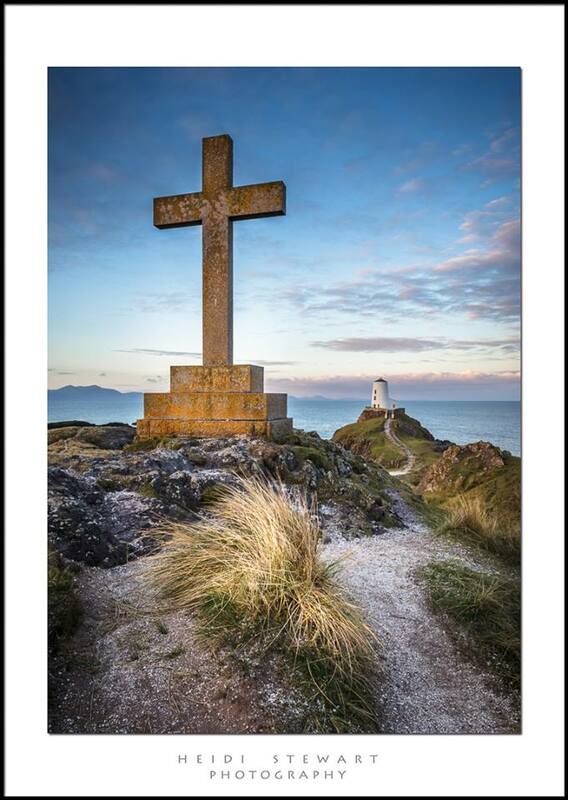 Heidi Stewart won the 2017 Freespirit Images shield with her DPI entitled ‘First Light at Llanddwyn Island’ which can be seen below. Second was Gwynfryn Jones with his print ‘Defying Gravity’ and third was Meryl Natt with her DPI ‘Window Shopping’. All three photos go forward to next week’s ‘Picture of the Year’ competition. Aberdare Camera club once again provided a warm welcome and a very enjoyable afternoon for the 2017 Stanley Chell competition. Congratulations to Inn Focus Group who came away with a well-deserved win for the second year running, very closely followed by Gwynfa and Western Valley. The judge Mr Walter Benzie Hon FRPS, former president of the Royal Photographic Society kept us entertained providing a thorough and concise critique, unusually marking out of 10.